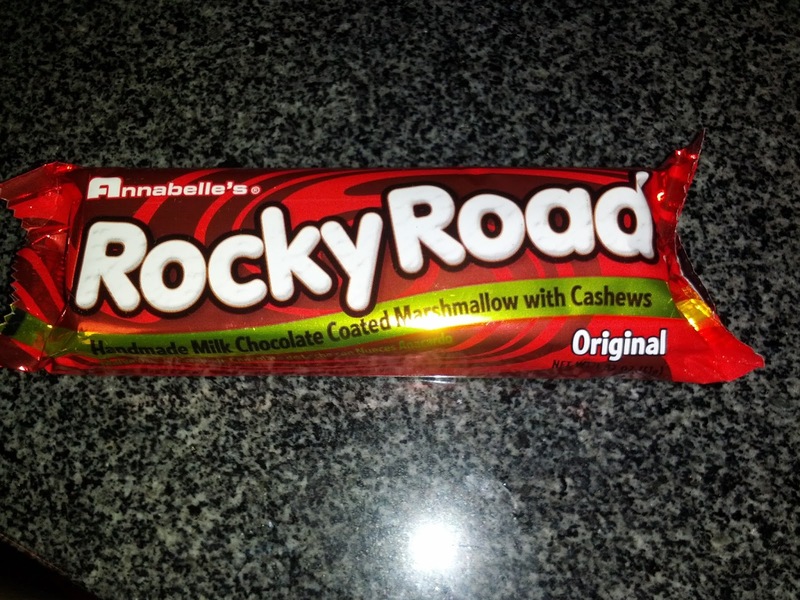 I'm not entirely sure when or how I first heard about Annabelle Candy Company. It was fairly recently however, which is surprising, given that they've been around since 1950. I guess their products just never stood out amongst the more common offerings from the Hershey, Mars, and Nestlé empires. This is their most famous product, and the one that started the company. "Handmade chocolate covered marshmallow with roasted cashew nuts, crunchy malt. The marshmallow was very, very fluffy. I was shocked, as I expected a not-fresh marshmallow to be more like regular store-bought marshmallows. That part I loved. But I didn't care for the chocolate coating, it wasn't creamy, nor rich. But it also was not low end waxy chocolate either. I can't quite pinpoint what I didn't like about it. 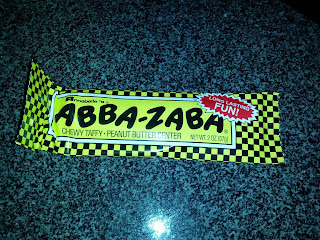 It may have actually been the tiny bits of cashew in the chocolate that gave it a slightly bitter taste that I didn't like? Regardless, I wouldn't get again. "Thick rich chewy taffy, with a rich creamy peanut butter filling in the center." This thing was seriously chewy. I wasn't quite sure what to expect given the description, but I wanted more peanut butter. 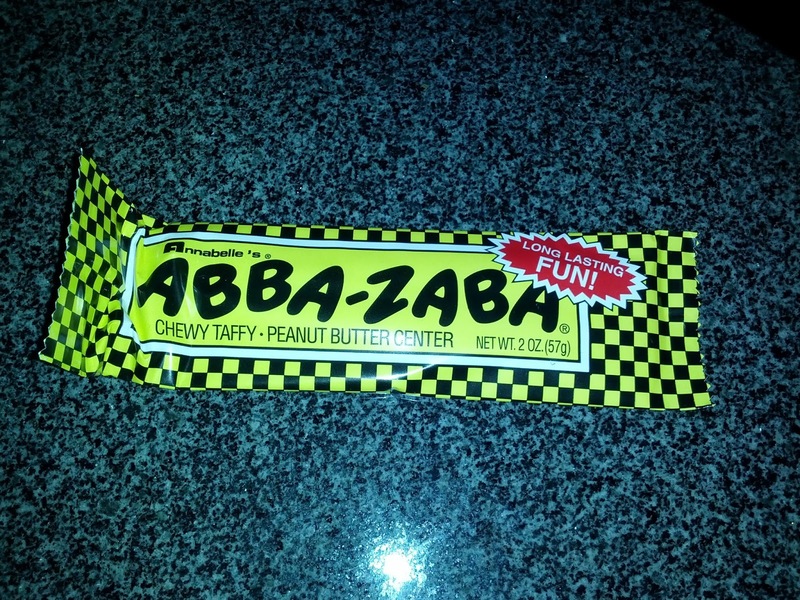 Instead it was most made up of very, very chewy taffy, with a tiny bit of peanut butter in the middle. It takes a long time to break down a tiny piece. Too much work. Not enough pb. Meh. 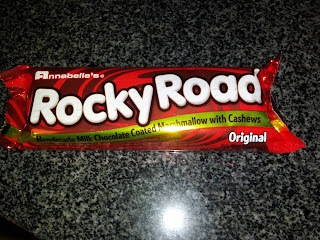 "Chewy, honey-sweetened nougat with whole roasted peanuts." But then, I went to the website to copy down the description to write this post. I read on the website that they recommend heating it up in the microwave for a few seconds. This sounded crazy to me, but I tried it. The results? Amazing! It basically turned into peanuty, marshmallow-fluff like goodness. Even better with some additional peanut butter mixed in. A spoonful of warmed up Big Hunk and warmed up peanut butter made such a fantastic treat. Totally addicting. Seriously, try one, and definitely microwave it.